2. Access of Your data is permitted to Webmaster only. 3. We use Windows 2000 Server for hosting the Portal. 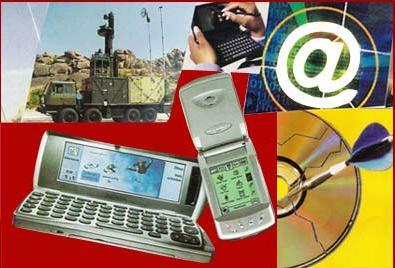 Limitations related to technology and possible breaches on the communication media/networks are the only security hazards in working on FreeMarketsDefence.com. However, we would continuously upgrade our technologies with focus on security . 4. You should keep your ID and Password Confidential. 5. The information provided by You, and held with Us will be made available to all Members of our Portal to help develop internet business. 6. Information/data relating to Members of the Portal used by Us for betterment of the Services, or internal analysis is part of our Agreement and is open to Us. 7. We reserve the right to disclose all information held with Us in case of any disputes with you or any Member of the Portal, or for any legal requirements on demand by the concerned persons/organisations. 8. Membership of the Portal is restricted to persons above 18 years of age. 10. We reserve all the rights to use information held with Us to better the ‘value’ of the Portal for various business tie-ups, co-branding, etc. 11. 'Cookies' could be used to enhance services/functionalities of the Portal to the benefit of the Users. Of course, your privacy would be fully protected within the technological limitations.